This past year offered plenty of bad movies, but unfunny comedies, shabby horror movies, and excruciating documentaries truly challenged the critics at Wylie Writes. Here are some of their “Worst Of” lists, and don’t forget to click highlighted titles for reviews. No matter where you stand on politics, I’m sure both the left and the right can mutually agree that Dinesh D’Souza and Bruce Schooley’s Hillary’s America was crummy and heavy-handed. Hillary’s America is structured as a humongous conspiracy theory, loaded with amateur re-enactors dressed in hammy wardrobe, and topped off with a clunky performance by D’Souza himself. Oh, and Larry Gatlin and the Gatlin Brothers play the film out by singing about that “lyin’ so-and-so Hillary”. Hillary’s America: The Secret History of the Democratic Party would be lower on the list if it hadn’t made me laugh so much. Now, this was no laughing matter. Actually, VAXXED: From Cover-Up to Catastrophe was a nauseating doc. Not because of its iffy information about vaccinations and their side effects, but because it practically portrays autism in the same way horror filmmakers portray zombie outbreaks. VAXXED either needed a new strategy in the editing bay, or a new director altogether. A shameless, stale knock-off of Richard Linklater’s Before Sunrise and its sequel Before Sunset. Linklater’s lofty formula has been used by other filmmakers, but everyone has put their own spin it. Writer/director Emily Ting changes the backdrop…and that’s it. Black Fawn Films’ resident cinematographer Jeff Maher makes his directorial feature debut with the disappointing horror Bed of the Dead. It’s an anticlimactic retread of SAW’s violent foul play, topped off with the franchise’s morale schmaltz. Candice Cain’s rom-com frat comedy is a multi-layered misfire with inconsistent continuity. Along with the cast failing to deliver Cain’s strained sense of humour, they can’t sell the film’s outrageous, long-winded premise either (which is allegedly based on a true story according to the filmmaker). Side note: upon reading my review, Candice Cain fired back by blaming my distain for her movie on my poor – or nonexistent – college experience. My time at Canadore College was great, Candice. I may have not been a partier, but I spent it watching better movies than this one. Chloë Grace Moretz is squandered in this tame, by-the-numbers franchise starter. J Blakeson’s first foray into directing a mainstream movie is such an autopiloted production, you can almost see the fingerprints from looming producers on the camera lens. I’m not interested in remembering Gods of Egypt – the less said about it, the better. To take potshots at Alex Proyas’ boring swords-and-sandals flop at this point would be like beating a dead horse. Proyas knows how much everyone dislikes his fantasy, everyone knows how much he dislikes those naysayers. It’s over and done with. A cookie-cutter kids flick that plods along indifferently in hopes that its young target audience is either a.) stupid or b.) will be entertained by the bare minimum. 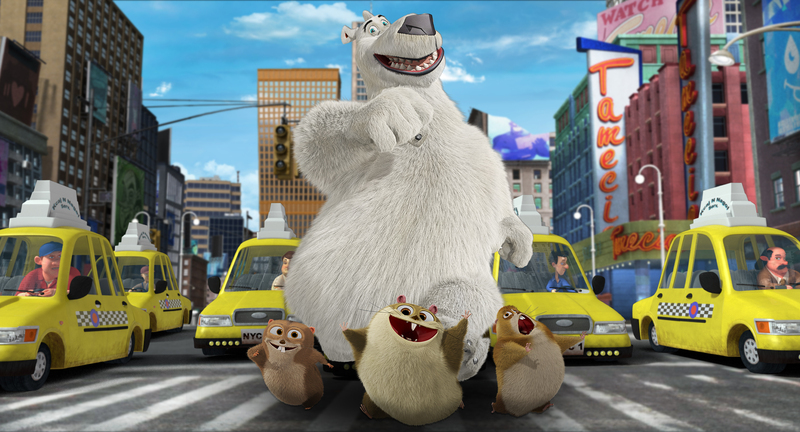 If heart and soul exists within the fibres of Norm of the North, it’s been completely overshadowed by an obligatory eco-friendly message, lame slapstick, and endless dance breaks. What an Idiot switches gears between being an insensitive and homophobic slacker comedy, and being a smug romantic comedy between real-life couple Peter and Julia Benson. Both are terribly strenuous and insulting to sit through. Moments of Clarity has been burned in my mind since September. Stev Elam’s awkward flick about an sheltered woman experiencing the world away from her agoraphobic mother has a murky line separating what’s supposed to be funny and what’s supposed to be taken seriously – imagine All About Steve shouted through a megaphone. The cringe becomes so bad during the film that I watched most of it from behind my clasped hands over my face. Moments of Clarity is the most uncomfortable moviegoing experience of the year, and the worst movie of 2016. I was planning on doing a bottom list but, to tell you the truth, I couldn’t even collect five picks. That either means that 2016 was a great year, or I lucky enough to dodge the stinkers. Probably the latter, considering the amount of highly-anticipated franchise flops there were. One movie, however, was so bad, it easily fills up all ten slots: Norm of the North. A seemingly innocent children’s animated feature, Norm of the North is a slapped together mess of heaping, hot smelly garbage. The animation is astonishingly terrible for a film with widely released film. It made its budget back, too, which is a shame because that doesn’t teach a much-needed lesson to the producers behind it. A pox upon animation and the overall year. Denis Villeneuve’s Hollywood films continue to disappoint. Arrival is stupid and insulting. Even being a painful experiment in realism through high-framerate, Billy Lynn still manages to feel inauthentic. Despite its already impressive haul of awards, La La Land is an unsatisfying follow-up to Chazelle’s brilliant Whiplash. 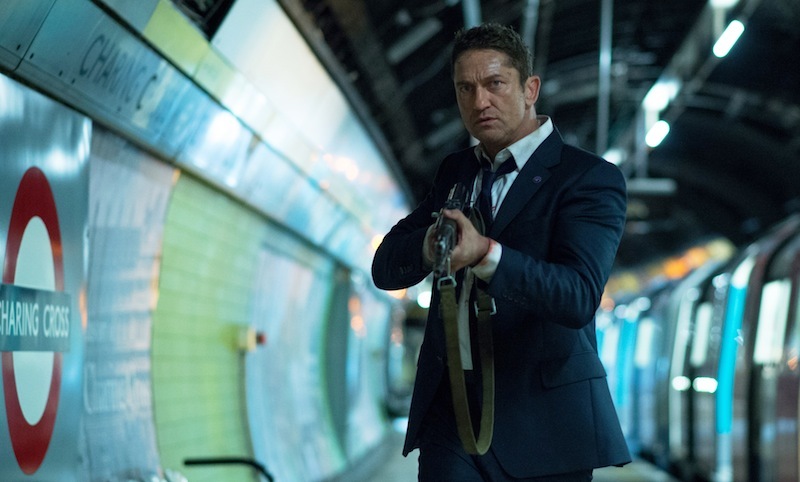 Like the first one, London Has Fallen is politically insensitive and often unwatchable in its clumsiness. 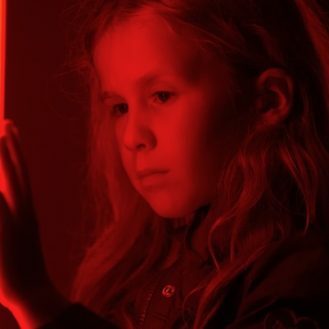 A frustrating wannabe remake of Close Encounters of the Third Kind, Midnight Special feels phoned in on every level. An interesting concept with an incredibly offensive Hollywood ending. Now You See Me 2 is just as unnecessary and irritating as its predecessor. A dry, poorly-acted drama for the increasingly unemployable Taylor Lautner. A tragic step in the wrong direction for the otherwise occasionally talented Alejandro Amenábar. 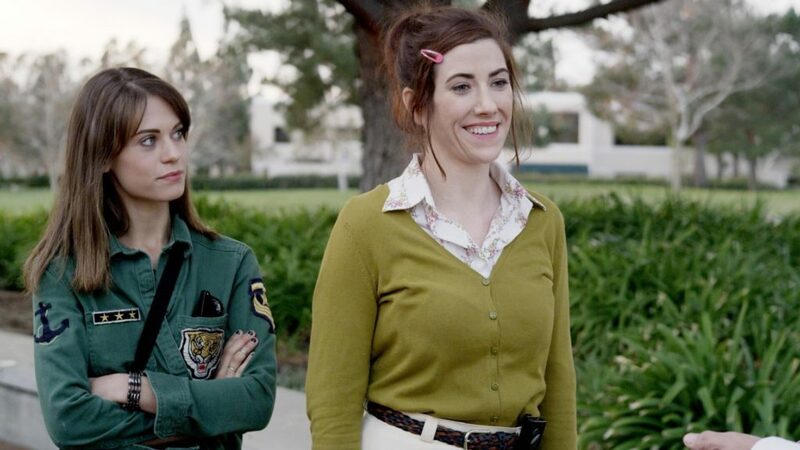 A strange, unfunny concept unsurprisingly translates into a strange, unfunny feature. Nate Parker’s controversial film is narcissism in its purest form. 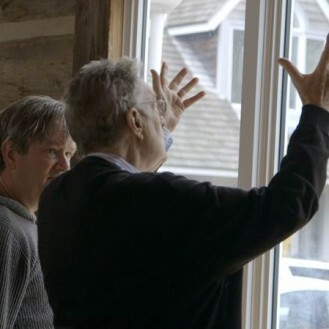 Writer/director/producer/star Parker places himself front-and-centre, and makes sure that no one ever forgets who the most important person is. This leads to an easily definable tagline for the film: watch people suffer, as Nate Parker feels sad. Remember when this was once an Oscar frontrunner? This documentary is an exercise in unethical filmmaking. Sonita Alizadeh is an Afghan rapper living in Iran, where she is part of an oppressed minority. Director Rokhsareh Ghaem Maghami truly shows off what privilege means, forcing Sonita to do certain things she doesn’t want to and, at the end of the film, she essentially buys her from her parents. A very strange watch. A horror film which forgets about the horror for two-thirds of the total runtime. Carly Usdin’s film has nothing to say and takes a fairly short time to convey her story. Yet, Suicide Kale still feels like it goes on forever. Isn’t it funny when people suffer? Well, it better be, or else Todd Solondz is out of a job. Solondz hit on a certain style in the 90s which ensured his uniqueness, but that style has worn out now. He has been remaking mediocre versions of his own films ever since, and Wiener-Dog’s masturbatory ode to human suffering is not helping his career. Remember when white people solved racism? Stephen Hopkins’ tone-deaf Jesse Owens biopic is so problematic on so many fronts, I’m actually surprised it wasn’t picketed by anyone. This one was a sleep-in! I tried to appreciate it, but the incomprehensible storytelling and the dollar store CGI made that quite impossible. Addison liked this at last year’s Toronto After Dark Film Festival, but the preposterous Let Her Out had me walking out early. One scene actually has a character saying, “I can’t believe we’re drinking outside the hotel where your mother was murdered twenty years ago”. That’s Oscar-worthy writing, folks! I had purged this thing from my mind until I looked at my year-end list, and it all came flooding back. It might be unfair to call Christian Hallman’s VOD title a bad movie – it’s barely a movie. Sensoria is just a series of images with no payoff in any way. How do you ruin a movie about a killer bed? That’s kind of a rhetorical question, but the answer is apparently make it about a killer moralistic room instead. If you’re going to make a mindless movie, embrace the dumb; don’t try (and fail) at making it in any way intellectual.